By introducing smart metering programs utilities can benefit from the full power of network automation and management down to the low voltage network, which was previously only possible at the higher levels of the electrical system. 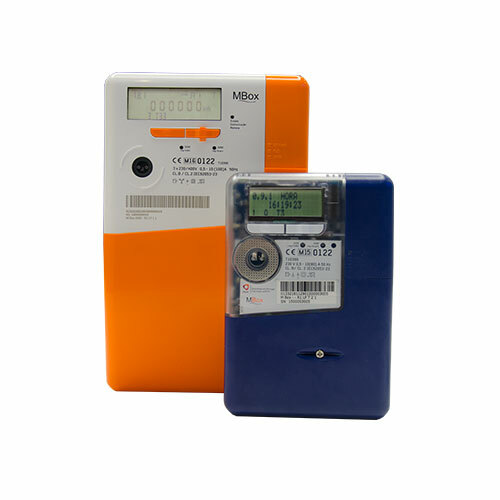 The M Box smart meter family, part of the Efacec Smart Grid portfolio, enables the cost effective deployment of advanced metering initiatives, providing an infrastructure to drive demand response and energy efficiency programs. Available in either single or polyphase configurations, with direct or indirect connection, M Box units may be applied in residential, commercial, industrial and in overall power system networks. The M Box products combine certified metering module and a plug-andplay communication module that can be selected from several interface options and fitted to the user requirements in a straightforward installation procedure. By providing four quadrant operation, the M Box I100 and I300, single and polyphase units respectively, can be deployed both in traditional households with one-way energy flow but also in integrated microgeneration applications with bidirectional flows. The indirect measure capability of the M Box I3000, with extended range of user-defined CT and VT ratios configuration, extends the range of application to industrial and MV power system. In addition to metering functions and high communication flexibility, the M Box I300 SL smart meters are also able to perform local control of street lighting circuits. By using the manual criteria defined by street lighting (SL) system managers or by using the astronomical clock and GPS coordinates in order to calculate optimal switching, the M Box meter allows total flexibility and autonomy to control SL circuits.